Research interests: I am a restoration ecologist. In our laboratory, our studies include ecology of garlic mustard (Alliaria petiolata) an invasive plant, impact of deer browsing on native vegetation, historic vegetation, prairie restoration, the effect of fire on vegetation, and the ecology of mycorrhizae. Read about some of the students who have worked with me. If you are interested in graduate studies please contact me. Contact information below. My email address is rcander@ilstu.edu. Anderson, Roger C. 2012. 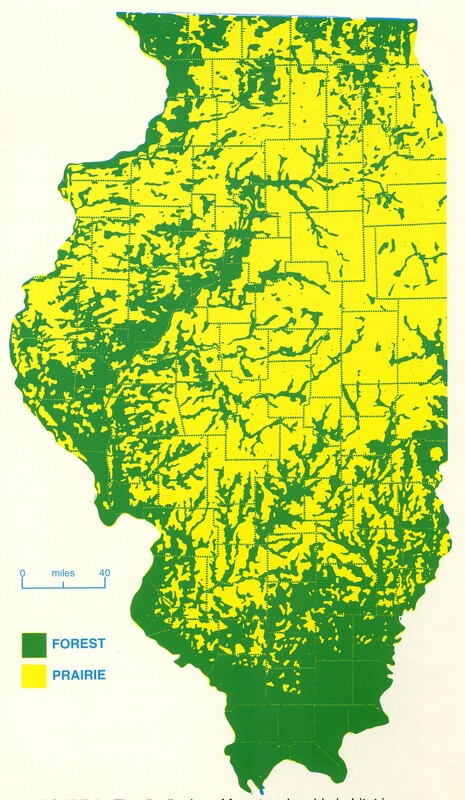 Ecology and Management of the Prairie Division. Pp. 175-200. In Lafayette, R., M.R. Brooks, J.P. Potyondy, L. Audin, S. Krieger, C.C. Anderson, R. C. M. Rebecca Anderson, Jonathan T. Bauer, Mitchell Slater, Jamie Herold, Patrice Baumhardt and Victoria Borowicz. 2010. Effect of Removal of Garlic Mustard (Alliaria petiolata, Brassicaeae) on Arbuscular Mycorrhizal Fungi Inoculum Potential in Forest Soils. The Open Ecology Journal 3: 41-47, URL http://www.bentham.org/open/toecolj/openaccess2.htm. Anderson, R.C., Brad Dorick, and Teresa Crispino. 2007. 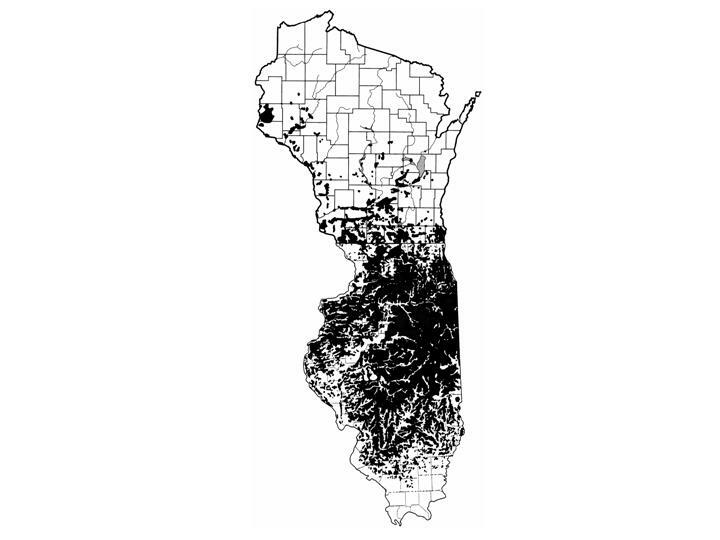 Impact of species richness and deer browsing on the quality of restored prairie in central Illinois. Ecological Restoration 25:99-102. Anderson, Roger C., John E. Schwegman, and M. Rebecca Anderson. 2000. Micro-scale restoration: A twenty-five year history of a southern Illinois barrens. Restoration Ecology 8:296-306. Anderson, Roger C., James S. Fralish, and Jerry M. Baskin (editors). 1999. Savannas, barrens, and rock outcrop plant communities of North America. Cambridge University Press, New York, Pp. 470.Savannas, barrens, and rock outcrop plant communities of North America. Anderson, Roger C. and Eric Menges. 1997. Effect of fire on sandhill herbs: nutrients, mycorrhizae, and biomass allocation, American Journal of Botany 84:938-948. Anderson. Roger C., Shivcharn S. Dhillion, and Timothy E. Kelley. 1996. Aspects of the ecology of garlic mustard (Alliaria petiolata) in central Illinois. Restoration Ecology 4:81-91. Anderson, R. C. 1994 Height of white-flower trillium (Trillium grandiflorum) as an index of deer browsing intensity. Ecological Applications 4:104-109. Anderson, R. C., B. A. Hetrick, and G. W. T. Wilson. 1994. Mycorrhizal dependency of big bluestem (Andropogon gerardii) and little bluestem (Schizachyrium scoparium) in two prairie soils. American Midland Naturalist 132:366-376. Dhillion, Shivcharn S. and Roger C. Anderson. 1994. Production on burned and unburned sand prairies during drought and non-drought years. Vegetatio 115:51-59. Anderson, R. C. and Alan J. Katz. 1993. Recovery of browse- sensitive tree species following release from white- tailed deer (Odocoileus virginianus Zimmerman) browsing pressure. Biological Conservation 63:203-208. Anderson, Roger C. and Anthony E. Liberta. 1992. Influence of supplemental inorganic nutrients on growth, survivorship, and mycorrhizal relationships of Schizachyrium scoparium (Poaceae) grown in fumigated and unfumigated soil. American Journal of Botany 79:406-414. Anderson, Roger C. and Orie Loucks. 1973. Aspects of the biology of Trientalis borealis Raf. Ecology 54:798-808.